Per Head Network offers one of the widest selections of agent friendly features on the market, including our industry leading reporting, which helps you to easily track and manage your players and stats with just a few simple clicks of the mouse. 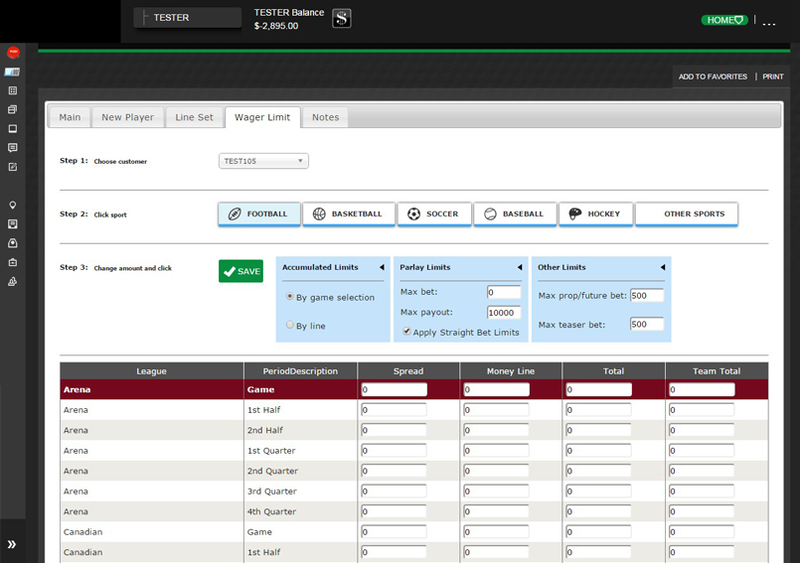 View a detailed breakdown of your player’s action, set and change limits, check your bottom line. To learn more about some of our most popular reports, simply click on the links below for details. Visit our new and easy to use Agent Home Page where you get all the info you need as soon as you login. Easily find on the left side all the reports you need to use. You can also mark your favorites to be displayed on-top of the left menu for easy access. Displays the weekly action for all players. You have option at top of report of checking boxes to hide players who have balances but no action for current week and or to show casino separate. 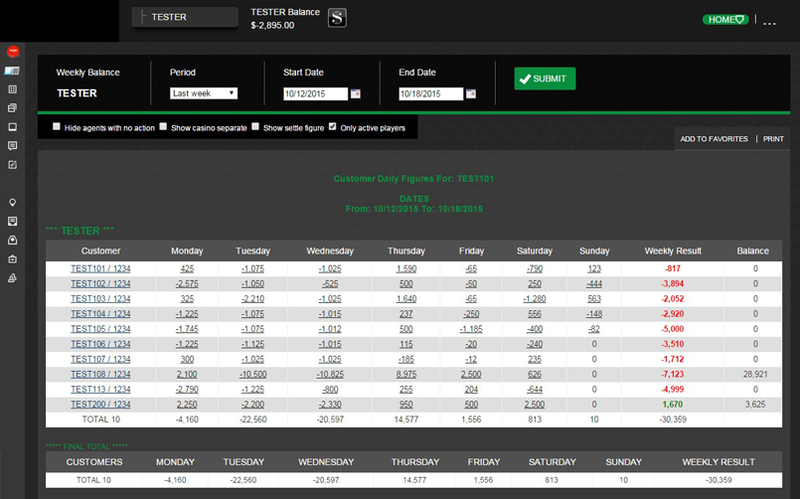 Clicking on daily figure under a player will display detail of wagers placed that day. Clicking on a player account number will open a menu that allows you to place Credit/Debit Adjustment, Deposit/Withdrawals, and Free Plays. Our Live ticker allows you to monitor all players’ wagers in real time as they're placed, giving you an overview of all action as it occurs. Gives agent overall financial position on all games and bet type on the board for current week. Shows the overall information of the agent’s business for the last 30 days (the sports book win/loss, the sportsbook adjustments, Casino win/loss, Casino fees, Commission types and amounts, etc). In addition, ratio of call center versus Internet players and their charges. 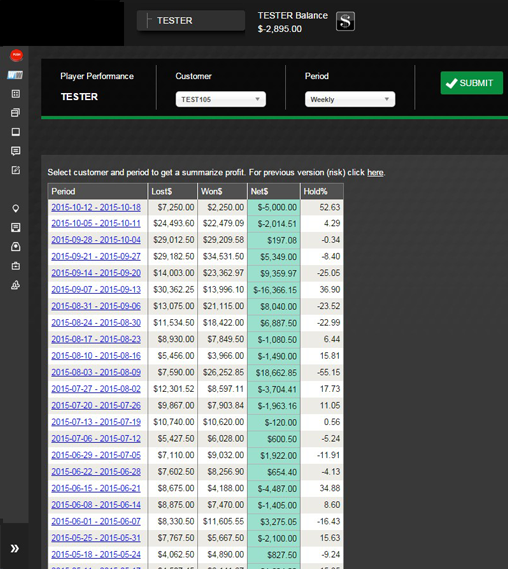 Gives agent detailed report on bet count, Risk Amount, Net Result, and Hold % for all players during particular time period. Give agent access to all players profile and allows agent to edit: passwords, credit limit, wager limit, horses, casino etc. 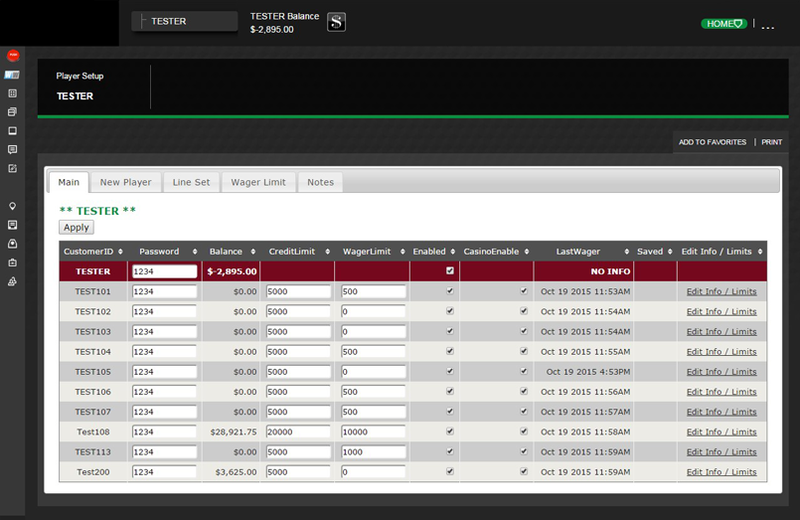 Set Detail limits by Sport and Period on Spread/Money Line/Total and Team Total. 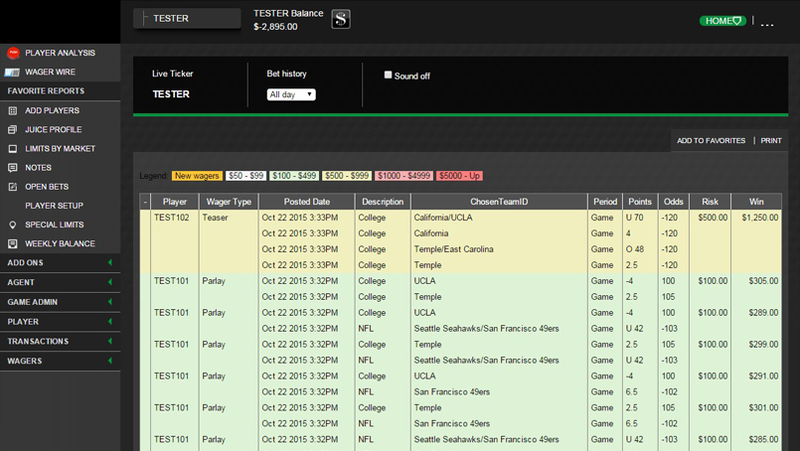 You also can set Parlay limits, max bet and max payout. Teaser max wager, Props and Futures max bet. Accumulated Limits can be by game selection or by line change. 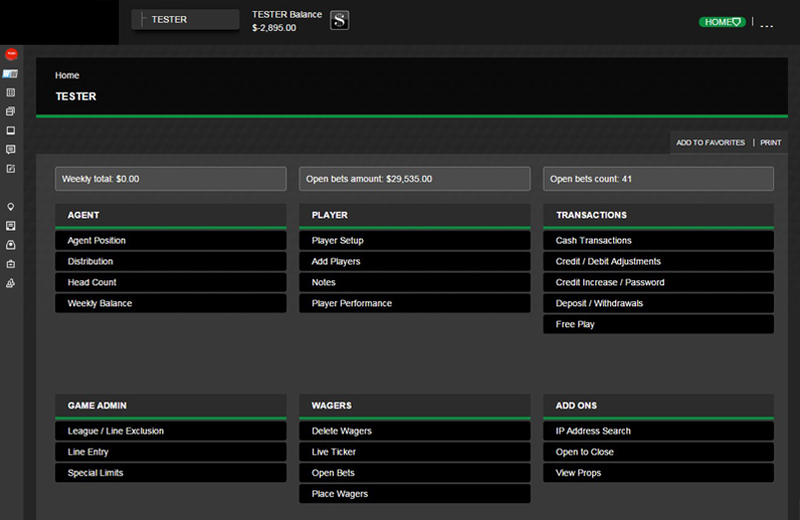 Allows you to turn ON or OFF an entire market or sub market so your players will not see it on the wagering page. 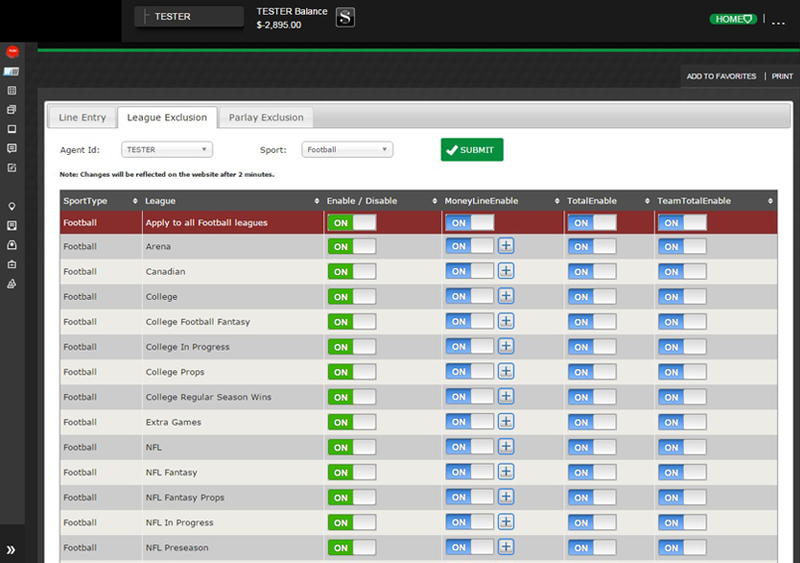 In addition you have the ability to Turn ON or OFF ML, Team Totals or TOTALS only. The agent also has the ability to limit ML to a certain # so anything above that # doesn't show.